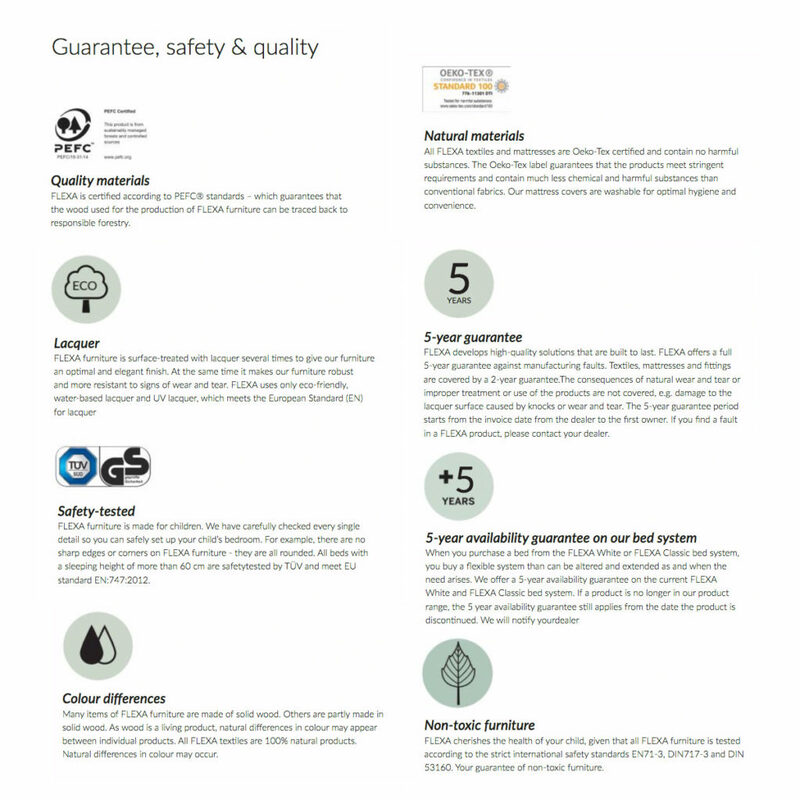 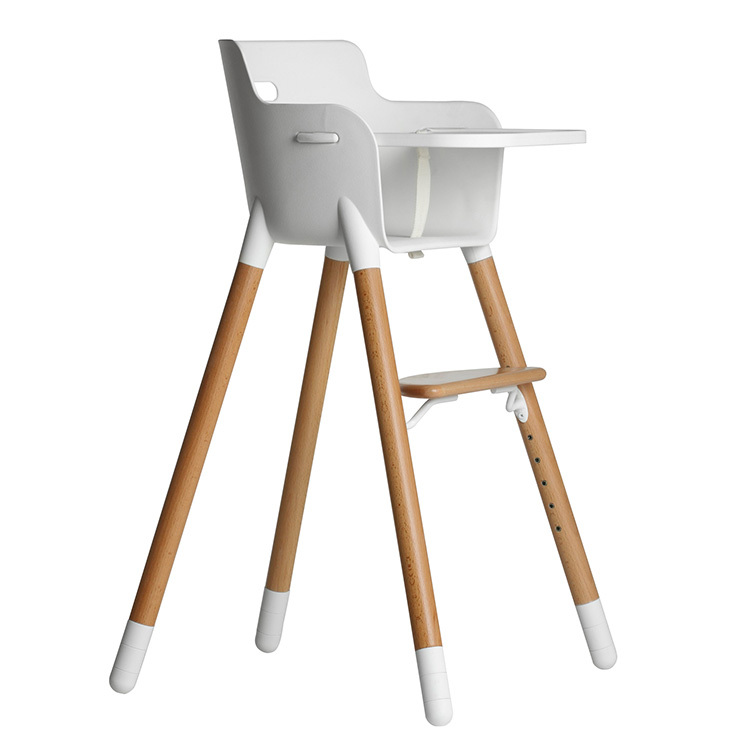 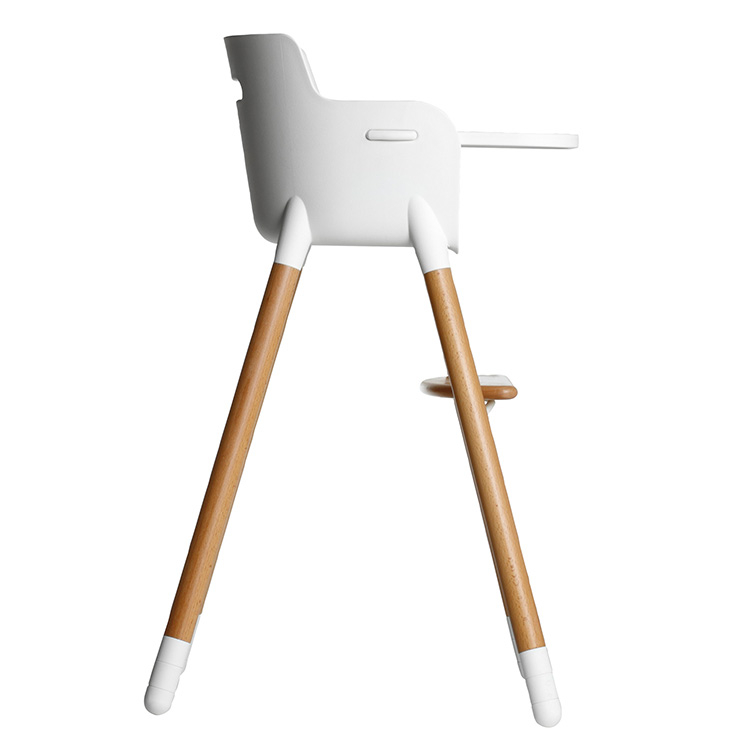 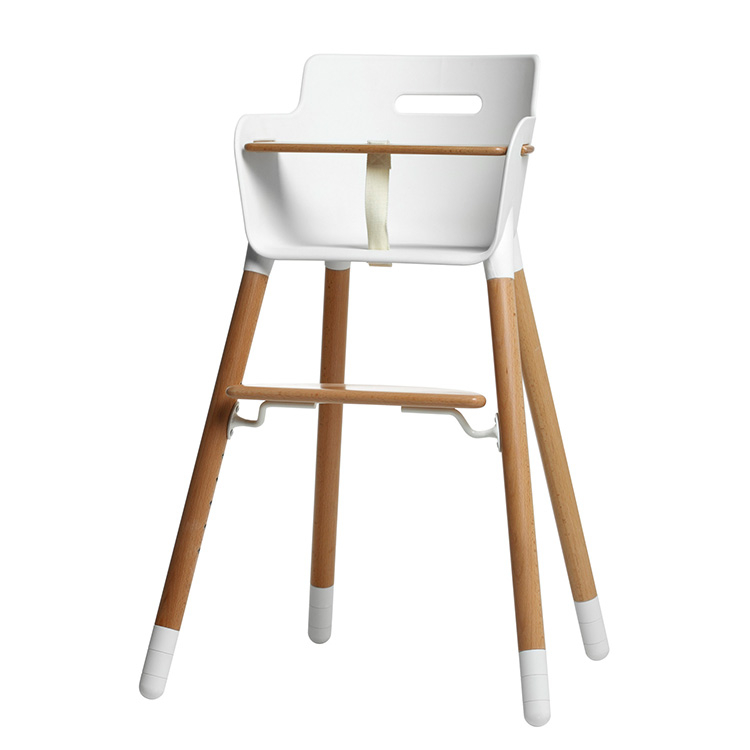 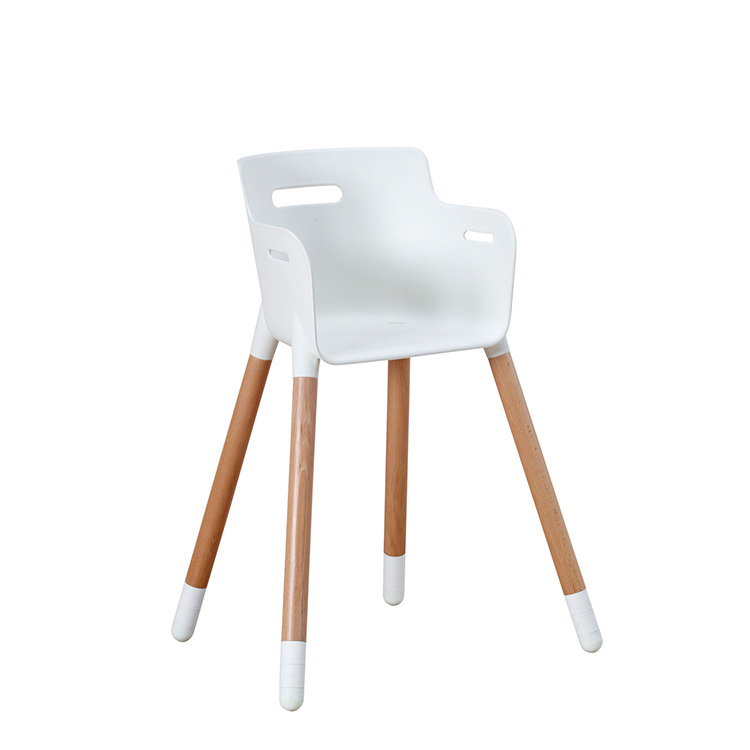 The clever design features of the Flexa Child’s Highchair 0-12 yrs – Beech & White means this unique chair will see your little ones right through to the early teens. 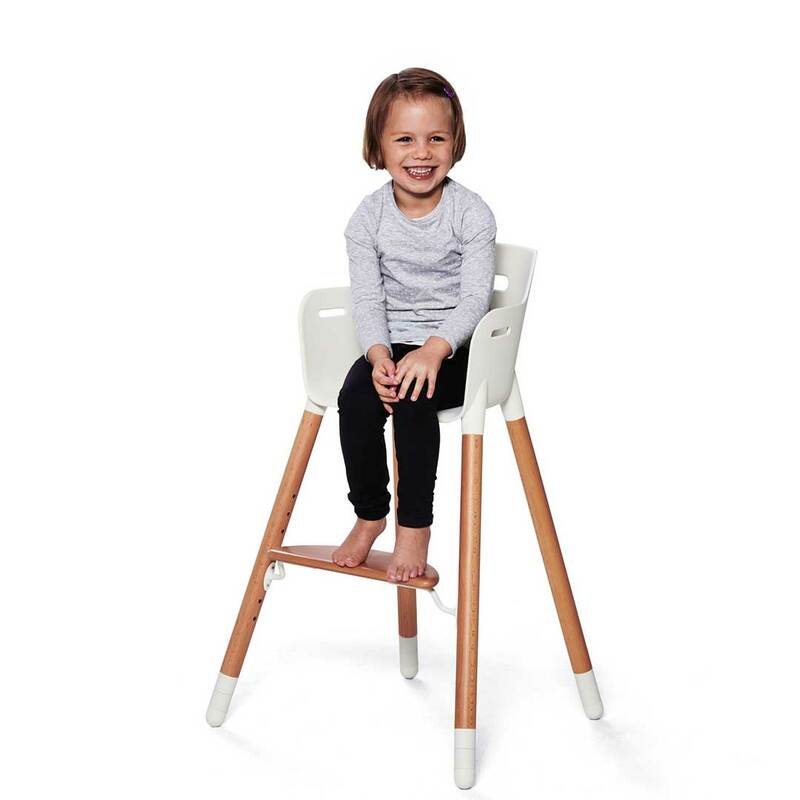 We know a 12 year old probably wouldn’t like a high chair, but its ergonomic design features an optional removable tray, three adjustable seat heights and an adjustable foot rest. 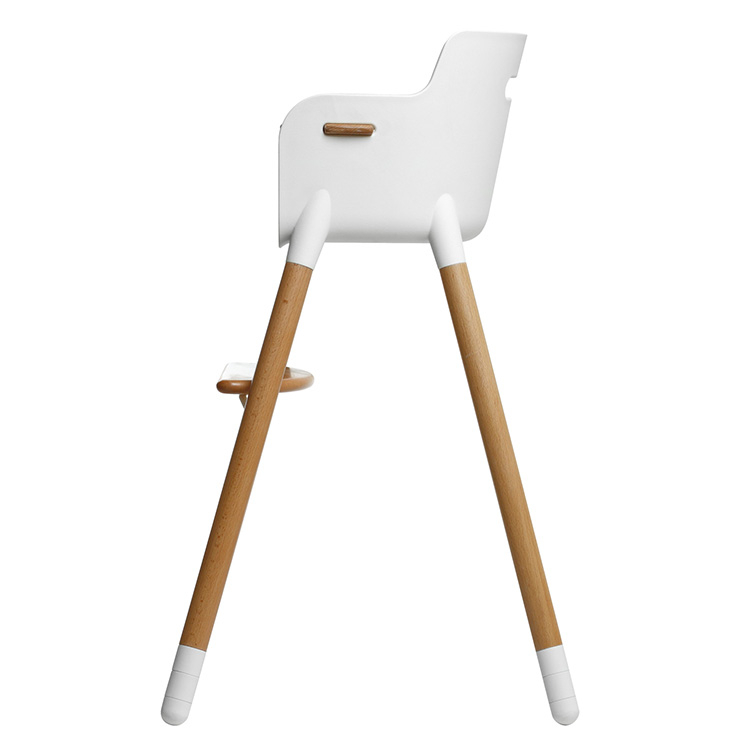 This makes it a handy addition to any breakfast bar or workstation for older girls and boys. Scandinavian in design, made from high quality durable PP plastic with solid beech legs, this chair is super easy to clean – just remove the seat and pop it in the dishwasher. 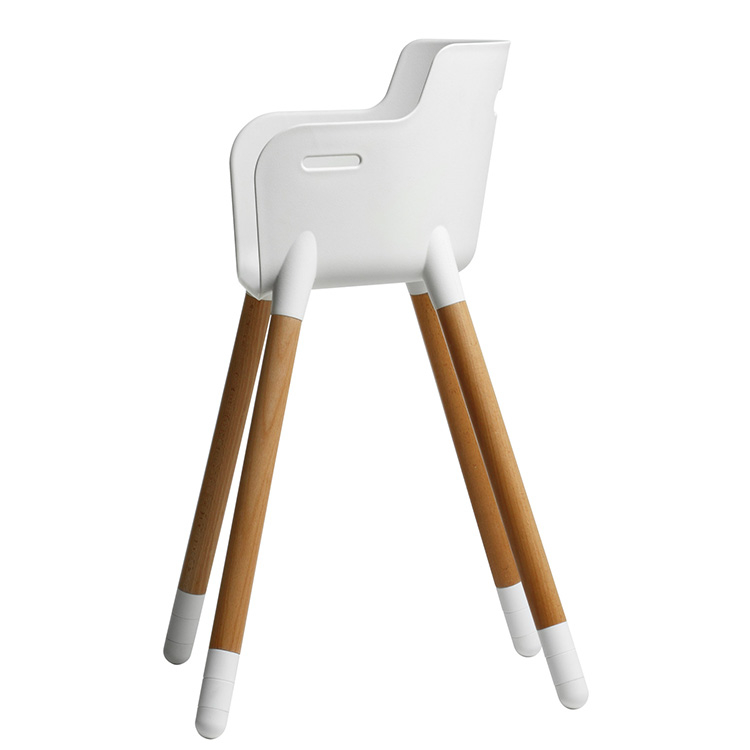 This chair is a winner in every sense! 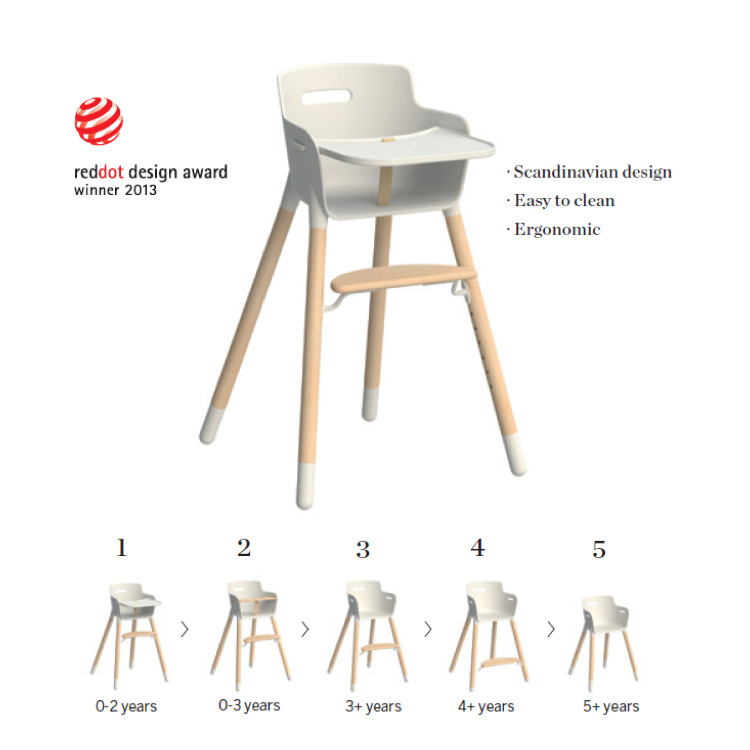 The Flexa Baby Chair received the Reddot Design Award in 2013 for its functionality and unique design. 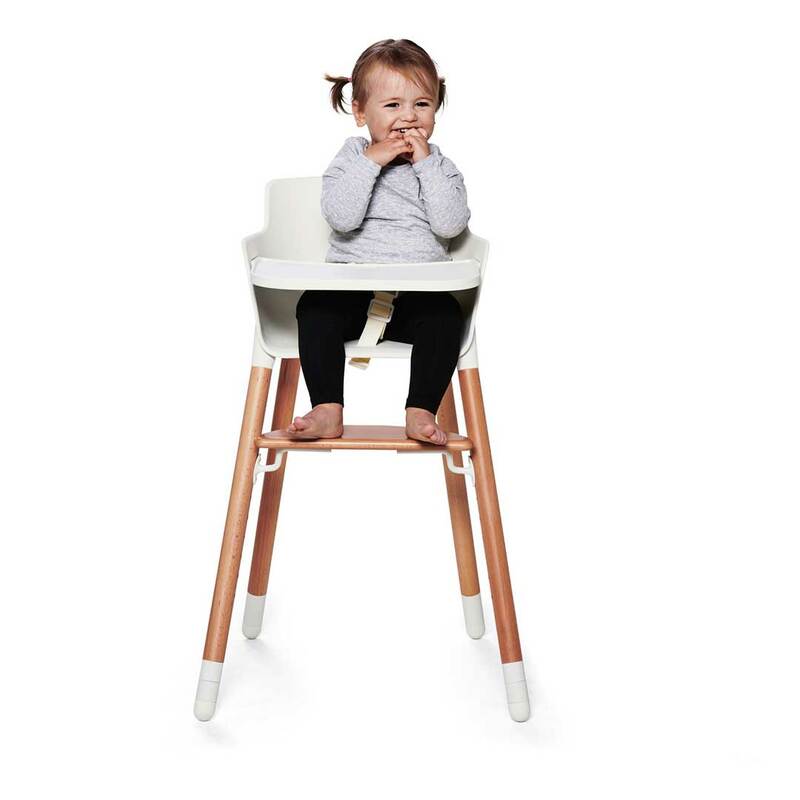 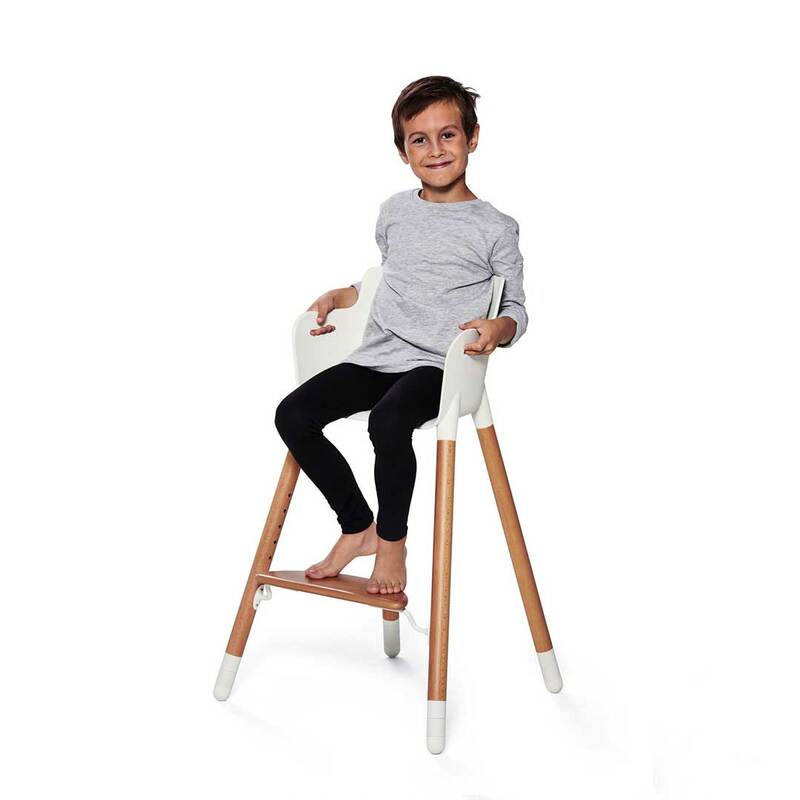 The baby chair easily transforms into an office chair or a normal dining table chair, just add the shorter legs and the chair gets a new life. 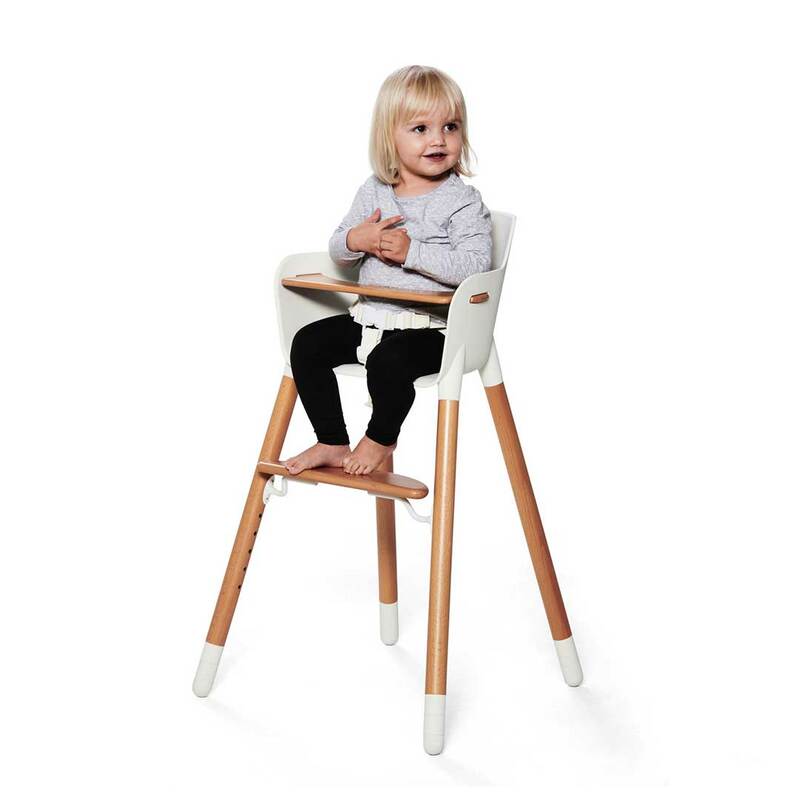 Flexa believes in child safety, therefor according to the safety standards, Flexa recommends children at the age between 0-3 years, or from a point when the child is capable of remaining in a sitting position due to his or her own coordination, should be wearing the Flexa baby harness at all times when placed in the Flexa baby high chair.